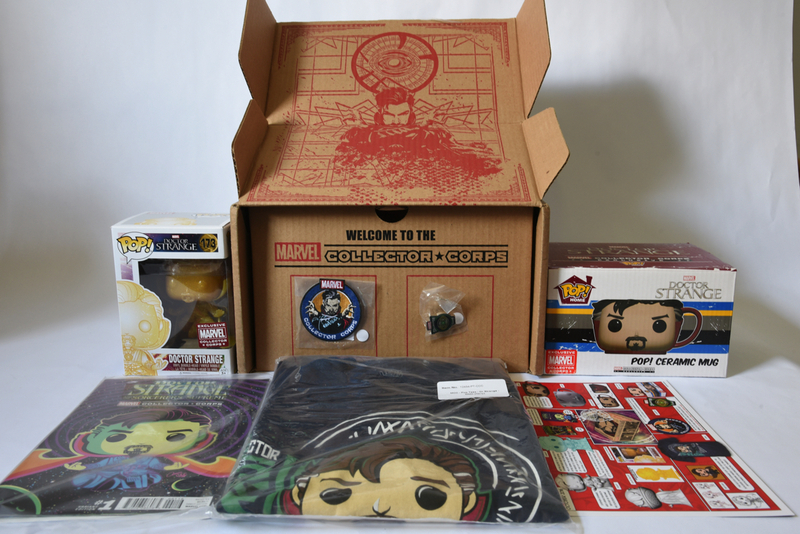 Description: This is the Funko Marvel Collector Corps Dr. Strange box containing: Dr. Strange #173 Pop, Pop t-shirt, Pop comic book, Pop mug, patch and Eye of Agamotto pin. A card comes in the box outlining each item and the box itself has Dr. Strange graphics on the inside. It was released in October of 2016 for the movie.